Culinary extraordinaire Chef Rolando Laudico, more famously known as Chef Lau, represents the Philippines in Asia’s number one design reality TV show, The Apartment, for its fourth season produced by Imagine Group in collaboration with Fox International Channels. The series is set at the breathtaking Bangtao Beach in partnership with Castlewood Group featuring celebrities from all over the globe. Chef Lau will be battling it out with 11 other contestants and get the chance to win USD 100,000 for a charity of their choice. 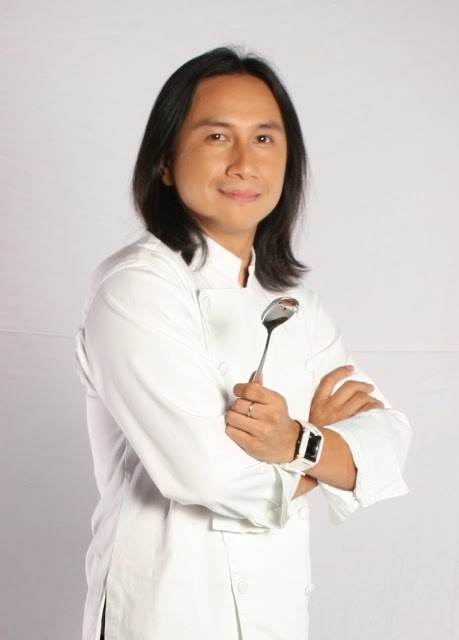 The renowned chef has been featured on television for the development of Selecta’s Gold Label Chocolate Truffle Ice Cream and was a recurring judge and host in the highly popular and successful MasterChef: Pinoy Edition. This time, Chef Lau is competing against an international cast, namely: Paula Taylor (Actress/ Host), Xiao Wang (Actress/ Jewelry Designer), Rima Fakih (Miss USA 2011), Lucy Clarkson – Demeo (Model/ Singer), Patricia Knudsen (DJ/ TV Host), Nicole Russo (Producer/ Singer), Mary Christina Brown (Film Star), Cindy Gomez (Pop Singer), Justin Bratton (Host/ Actor), Ryan Star (Singer), and Bronson Pelletier (Actor). This season of The Apartment, top design guru Laurence Llewelyn-Bowen will reprise his role as the head judge of the competition, and former guest judge, Andrea Savage will join the panel as a recurring judge on the show. Jamie Durie is also back as the host of the show. The Apartment: Celebrity Edition will air on StarWorld every Sunday, 9:40PM SG/HK (8:40PM JKT/BKK) starting 25 January 2015 and will run for 10 action-packed one-hour episodes.